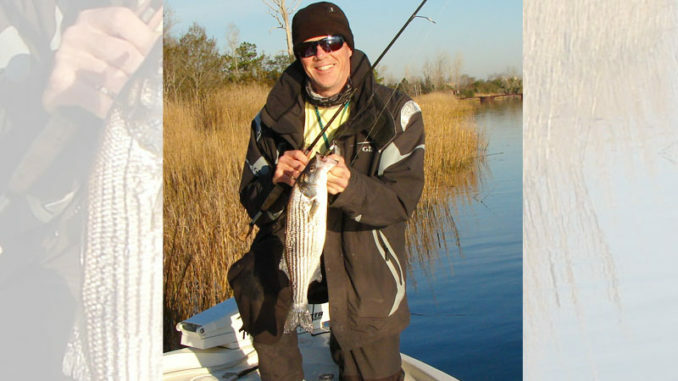 Guide Stu Calder shows off a Cape Fear River striped bass. Striped bass have been the primary winter catch in the rivers around Wilmington, N.C., for several decades. Stripers live in the Cape Fear, Northeast Cape Fear and Brunswick rivers most of the year, but numbers that make fishing fun typically begin to show in December and are strong from January through March. This year is expected to be similar, but a little slower than past years due to fish kills associated with toxic runoff from Hurricane Florence and tropical storm Michael. But the waters were returning to normal by Thanksgiving, and the fishing cranked back up around Christmas. 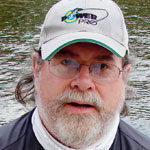 Stripers often feed at the mouth of the many creeks and rice ditches and respond well to soft plastics in these spots. Some also hold along drop-offs into the channels and around structure. The bridges, docks, old pilings and several sunken barges are good bets. 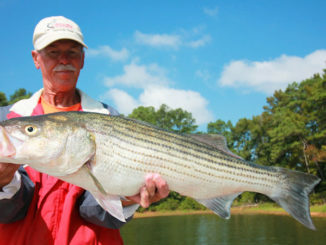 Most fishermen find large lipped diving lures reach these stripers best. A moratorium on possessing striped bass anywhere in the Cape Fear River System makes these fish catch and release only. 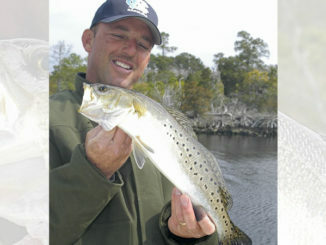 Drum and trout often mix with stripers around Wilmington. 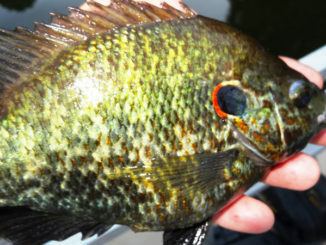 Anglers can invite them home for dinner.